History of Nova Scotia; Book.2; Part 5; Ch. 14. "The Burning of Washington." Ch. 14 - "The Burning of Washington." Cochrane's view of what was to be accomplished seemed plain enough to him: "I have it much at heart to give them a complete drubbing before peace is made, when I trust their northern limits will be circumscribed and the command of the Mississippi wrested from them. "3 The British set out to teach the Americans a lesson, namely that, "war is not to be declared against Great Britain with impunity." The 1814 campaign started out much the same as it ended in 1813, with a general harassment of the shipping and the small communities around the Chesapeake.4 However, for the British, big plans were in the works. Washington was their first target. The shortest route for the British was up the Potomac. However, the Potomac River would have to be forded at some point, it not being likely that the Americans would leave a bridge for them to cross. 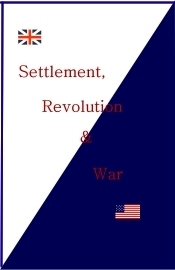 Plus, there was a fair prospect that at critical points on the Potomac, the Americans would be in force with vessels of war and a body of troops on the opposite bank.7 It is for this reason that Ross and Cockburn determined that there was another way to Washington that would better serve British purposes. On August 19th, the troops were landed on the shores of the Patuxent River near the present-day town of Benedict. The British then marched along to a point where the Americans had positioned a flotilla of gun boats.8 This flotilla was under the command of Commodore Joshua Barney. The Americans understood that it was an immediate target for the British. What the Americans did not understand, apparently, is that the British would turn this into a run for the back door of the capital. From the head of the Patuxent, after they polished off Commodore Barney's flotilla, they would proceed overland to attack Washington from behind, as opposed to going directly up the Potomac River on which Washington is located. The progress of events was rapid. The British, as stated, landed on the 19th and marched along the west bank of the Patuxent. By the 22nd they cornered the American gunboats near Marlboro. Barney, seeing that the final result was inevitable, had abandoned the gunboats one day earlier and moved his forces west.9 From Marlboro the British advanced on the road to Washington. The American defenders knew for sure, now, what the British objective was. The road from Marlboro to Washington led through the community of Oldfields, where it branched leading further north to Bladensburg. The Americans were not sure if the British would carry on straight through or take the road to Bladensburg. Either way, whether straight through or diverting north to Bladensburg, the attacking British would have to make their way across the eastern branch of the Potomac River, now called the Anacostia River. (Washington lies on a delta between the two rivers.) At Bladensburg the water was shallower than further downstream. Whether the British went north or straight ahead they had to come down the road to Oldfields, so there the American defenders, now reenforced by Commodore Barney's men, determined to make their stand. On the night of August 23rd, the British were encamped but three miles from the Americans. During the night the American commander, William H. Winder10, fearing a night attack, retreated further west. The British kept coming and made the right turn to Bladensburg, reaching the place at noon on the 24th. The place was abandoned. The Americans who had been stationed there had moved themselves across the river and there they had set up their defences. The defenders consisted mostly of militia, a citizens army, weak and unexperienced; the attackers were regulars, professional soldiers, disciplined and experienced. The bridge over the Anacostia River, the last natural obstacle to the British on their march to Washington, had been left in place by the American defenders. The defence was centered at the western side of the bridge and included superior artillery.11 The Americans spread their defences more to their left, upriver, thinking that the British would prefer to wade shallower waters. However, the British made a direct run at the bridge and the head of the column bore the brunt of the American artillery. Though they had large holes ripped in their advancing column, the British kept coming and made their way across the bridge. When the British started to spill out of the bridge, advancing in the face of fire, the first American line, militia, lost heart, turned, and ran for it. The second line, consisting of sailors and Marines under Barney, held for a while, but were forced to retreat when they were in danger of being cut off.12 Barney, severely wounded with a musket ball in the thigh, was captured. The retreating Americans, it seems, had no designated retreat line -- Winder had failed to give any instructions, so the militia fled the field with no goal in mind. The hasty and disorganized American retreat was so great that the fight became known as the Bladensburg Races. The capture and burning of Washington was a credit to Rear Admiral Sir George Cockburn and General Robert Ross. Reference has already been made to both of these individuals. A few extra words, however, need to be said about Ross. Ross was born in 1776, in Northern Ireland. He was the son of Major David Ross who saw service in the Seven Years' War . On his mother's side, the younger Ross was related to the Earl of Charlesmont. He went to Trinity College at Dublin, after which he joined the 25th Regiment of Foot as an ensign. His course in the army led to the command of the 20th Regiment. During the Napoleonic Wars, Ross fought in the Netherlands, in Egypt, and, of course, in Spain under Wellington. In 1814, Ross was appointed to lead a detachment of Wellington's army, an army which had gained considerable experience fighting Napoleon's army. As we have seen, Ross, who had been appointed a Major-General, and his force consisting of 3,400 British troops, were transported that summer into the Chesapeake. He personally led the attack on the Americans at the Battle of Bladensburg on August 24th, after which he pressed on to Washington totally unopposed. The next British objective was Baltimore. The British landed on September 12th, at the southern tip of the Patapsco Neck peninsula at North Point, twelve miles from the city. On their march to Baltimore they encountered the Americans who were asserting themselves to a much greater degree then they did before Washington. On the very first day, on riding forth to personally direct his troops, a pair of American snipers fatally shot General Ross.23 Though its leader had fallen, the British army pressed forward under Colonel Brooke. The residents of Baltimore knew what had happened at Bladensburg and Washington. Thus its citizens built earthworks before the city. So too, more of them took their muskets off the wall and put themselves under the American general, John Stricker. However, the United States army was but a militia facing experienced regular soldiers. Stricker positioned his defenders well on a narrow strip of land between the Patapsco and Back Rivers. When the British attacked, the American line held, but, only for a while, as the disciplined British advanced steadily in spite of galling fire from the Americans. Then, with the British steel glinting before their eyes, the Americans broke and ran from the scene. "The American report gives the impression of an orderly retreat; a British participant, who admits that the ground was well chosen, and the line held until within twenty yards, wrote that after that he never witnessed a more complete rout. "24 The British then advanced, such that, on the 13th, they were within a mile and a half of Baltimore. However, by then the British troops, as fine a performance as they had put in, were exhausted by the long marches and heavy fighting. Before they reached the city, the British commander called for a halt. As it turned out, they went no further. The earthen defences before Baltimore were substantial. Further, due to the Americans having sunk vessels across the channel, effectively blocking the waterway, the British fleet was unable to come up the river with its big guns.25 As Mahan put it, the British commanding officer "decided that success would not repay the loss necessary to achieve it. "26 Though they were winning all the battles, the British losses were mounting up. For example, in the Battle before Baltimore, the British losses were 46 killed and 129 wounded, while the Americans had 24 killed and 129 wounded.27 These are telling figures and ample evidence of the discipline and aggressiveness of the British infantry. 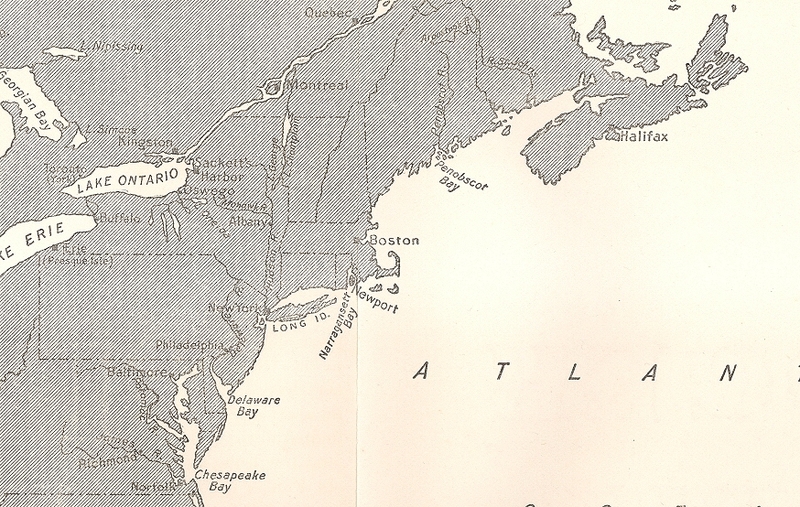 By September 15th, the British were on board the transports and headed back to Chesapeake Bay.